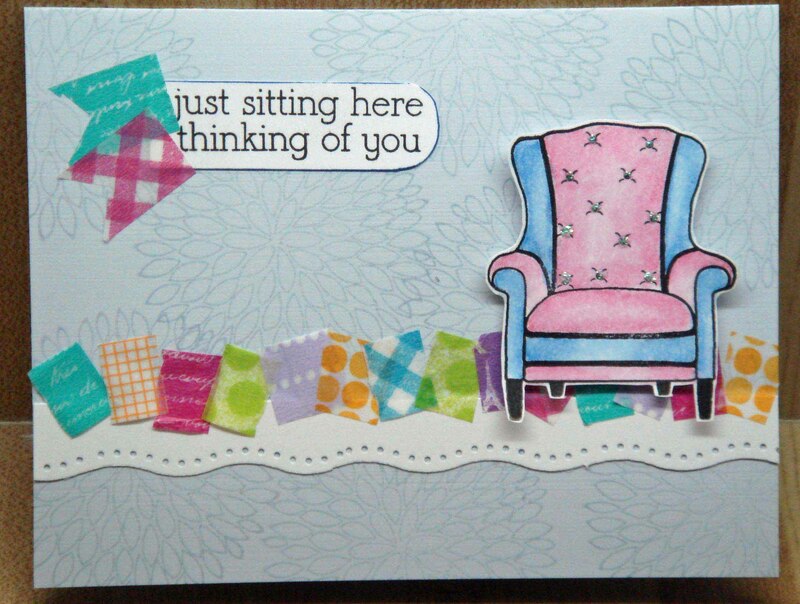 I’ve had this Stampendous! image (which I loved so much I bought two of the matching images)for more than a year, but never did much with it. 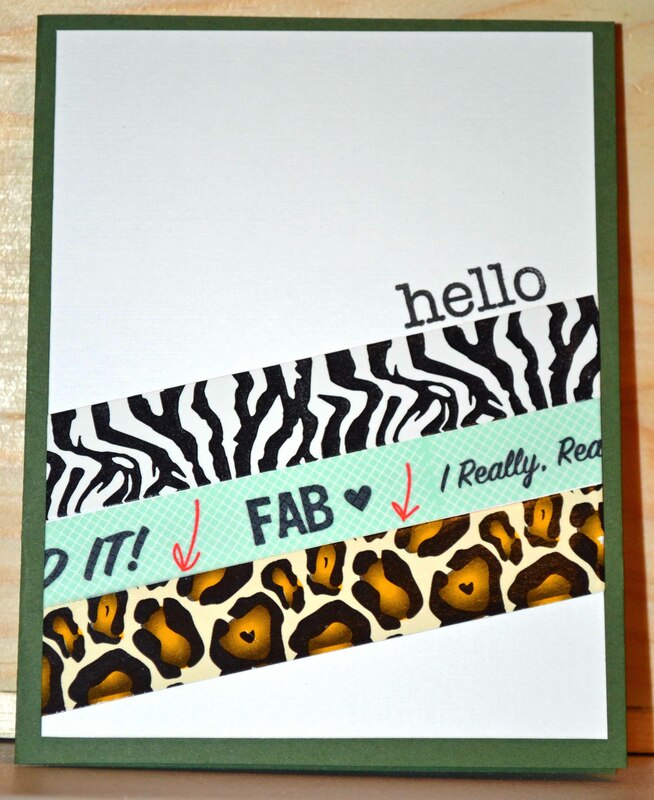 The washi tape did the trick, presenting a perfect platform where the image could shine. 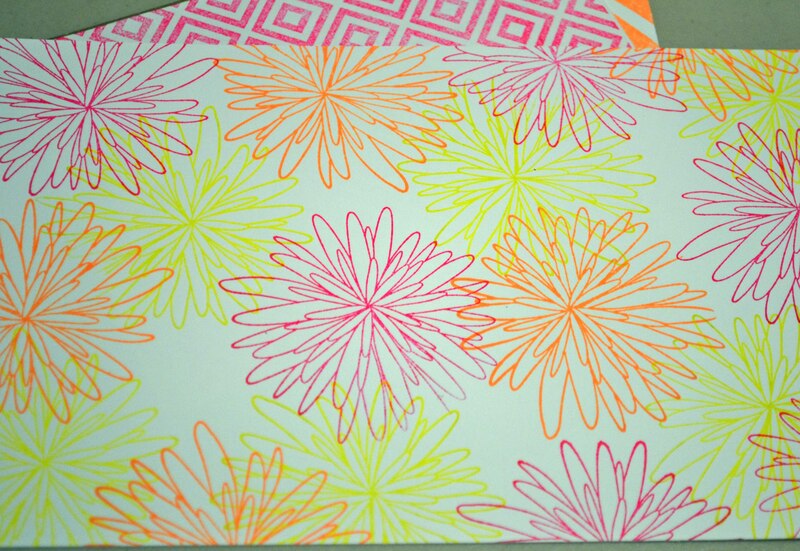 First, I used a rainbow Kaleidacolor inkpad (Imagine Crafts/Tsukineko) to brayer color on a scrap piece of cardstock. 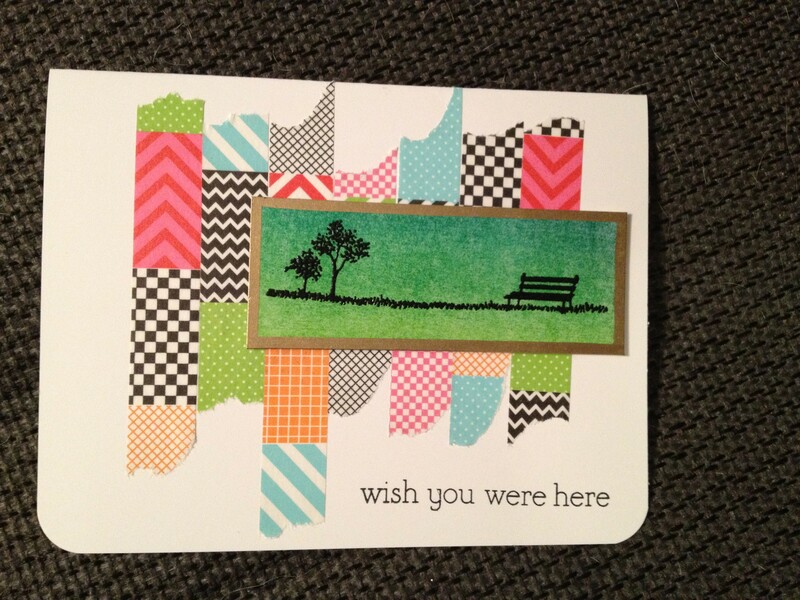 The image was stamped and embossed in black, then cut and edged with a Krylon gold metallic marker. The sentiment is from Hero Arts CL480. 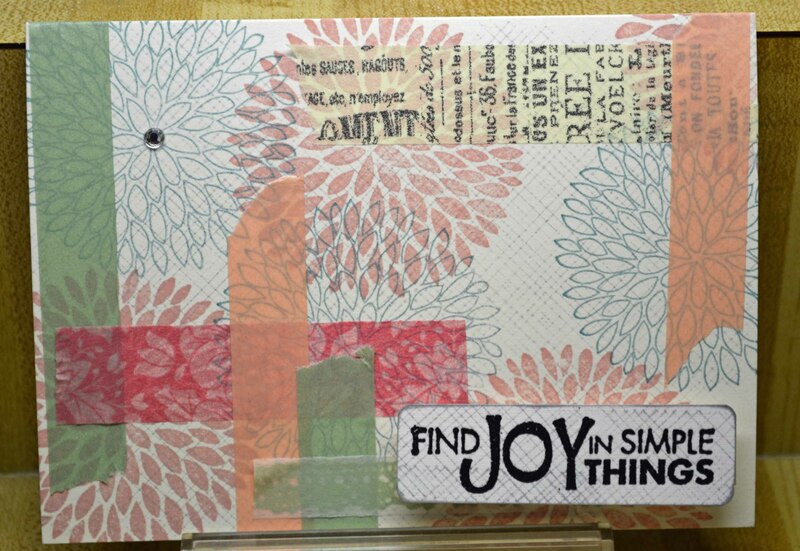 And the washi is from the K and Company Smash collection. 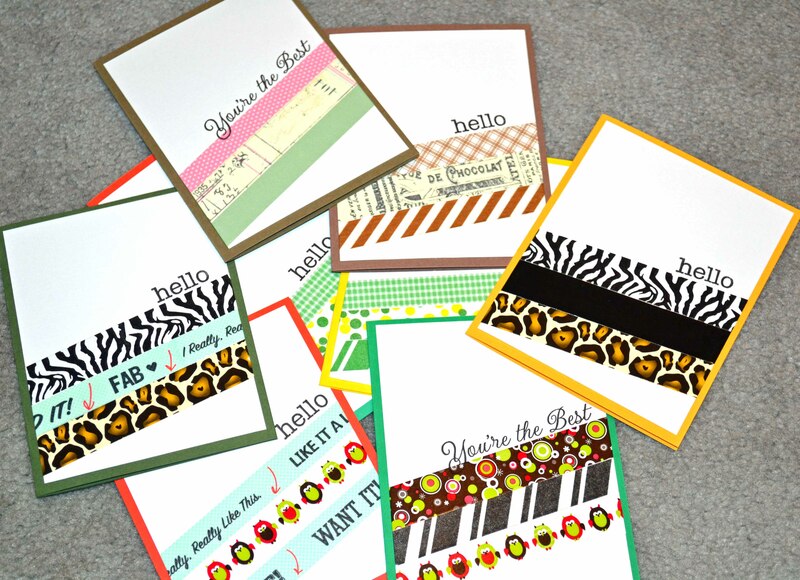 Thanks stopping by here, where the temperature outside is topping 100, but the stamping is always a cool thing to do. Thanks for coming by! And to all those who have lost loved ones, may your memories be warm, especially today. 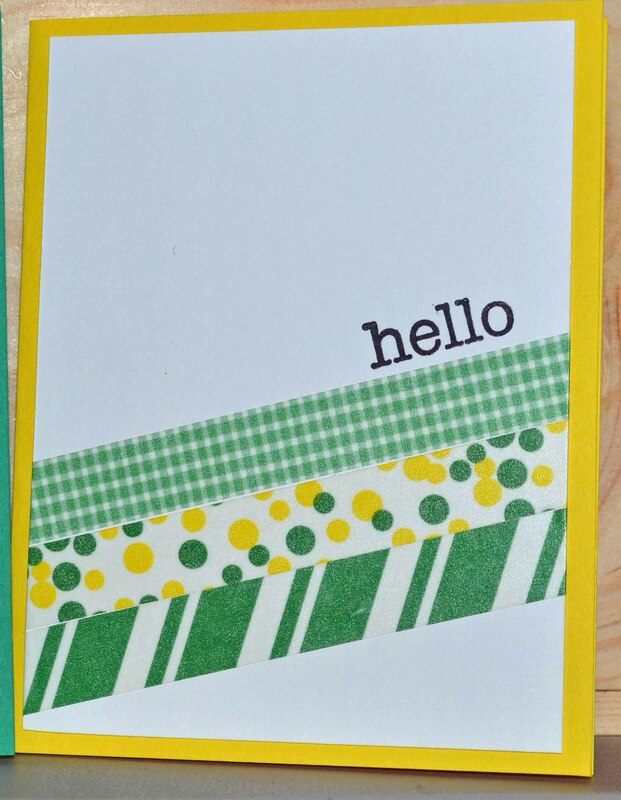 A quick post … with more cards I made to send to Operation Write Home. As I did with earlier cards, I was looking for a generic card with multiple uses. 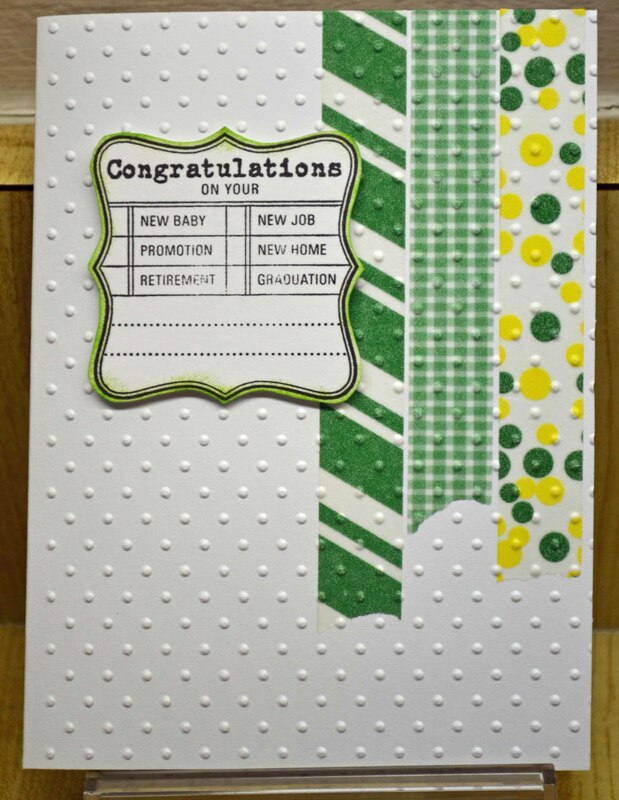 This congratulations stamp from Close To My Heart fit the bill nicely. 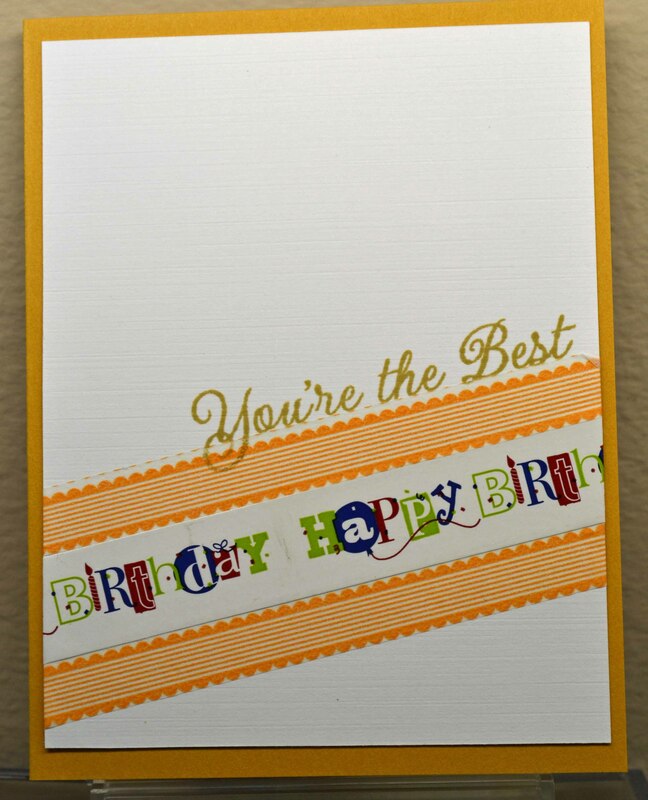 Now here’s a bright card, below! 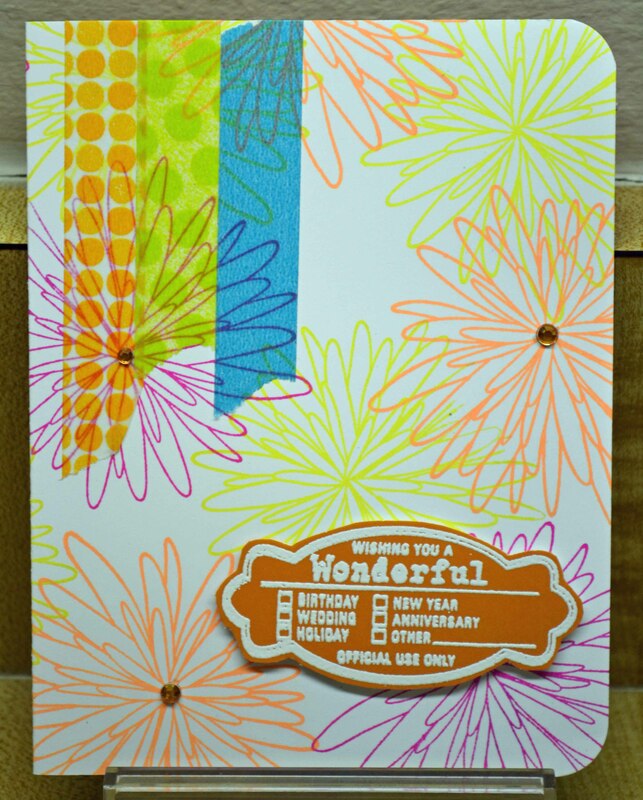 The beautiful, bright cardstock is from Die Cuts With A View, Silky Smooth Brights. 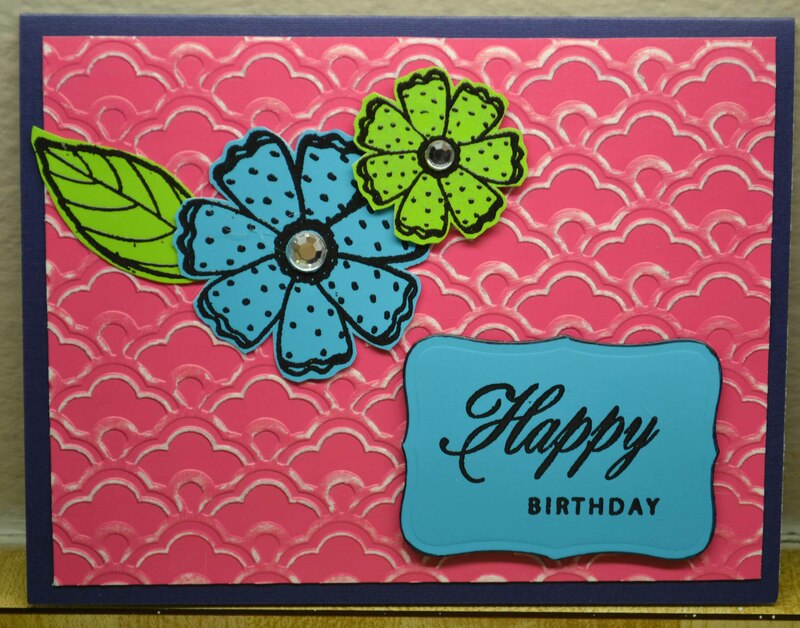 The pink piece was embossed using a Lifestyle Crafts folder, then sanded lightly to bring out the white core; the blue piece was cut using a Spellbinders Nestabilities. 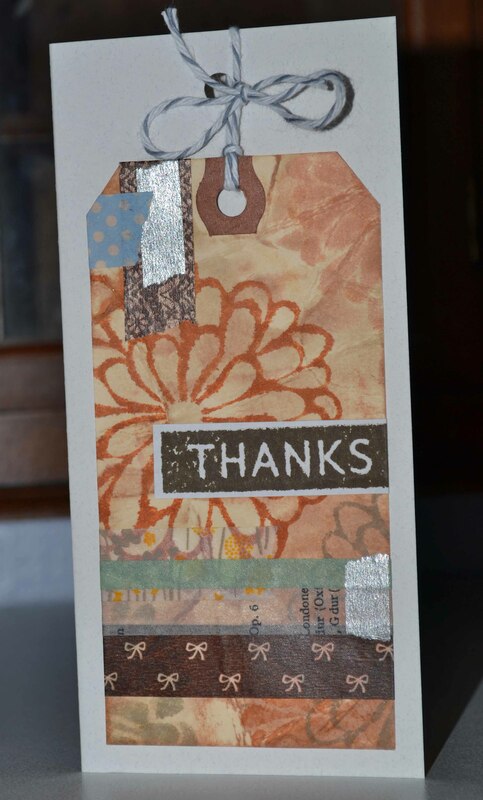 The flowers are from Hero Arts, the sentiment from Technique Tuesday. And last…. 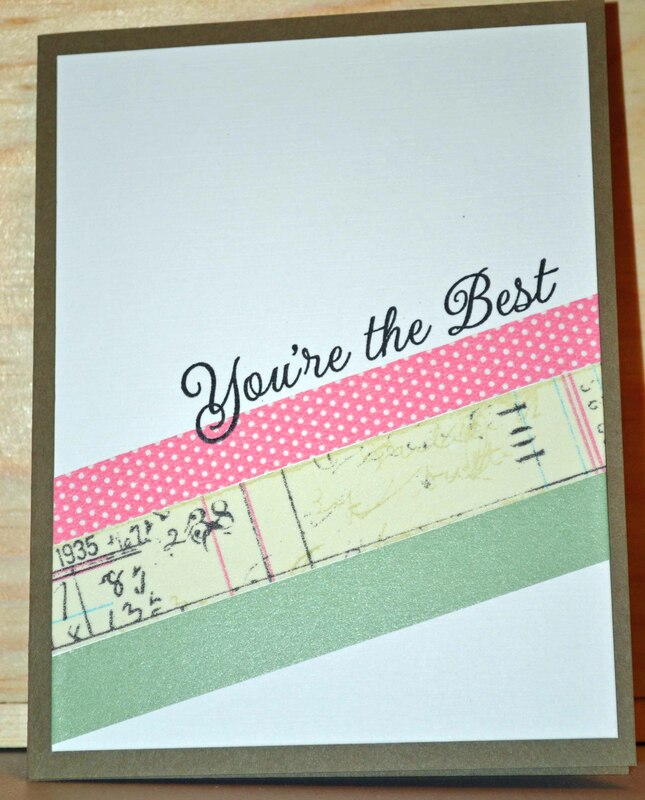 Love this cute camera paper from Die Cuts With a View — can you see the subtle sparkle on the cameras? 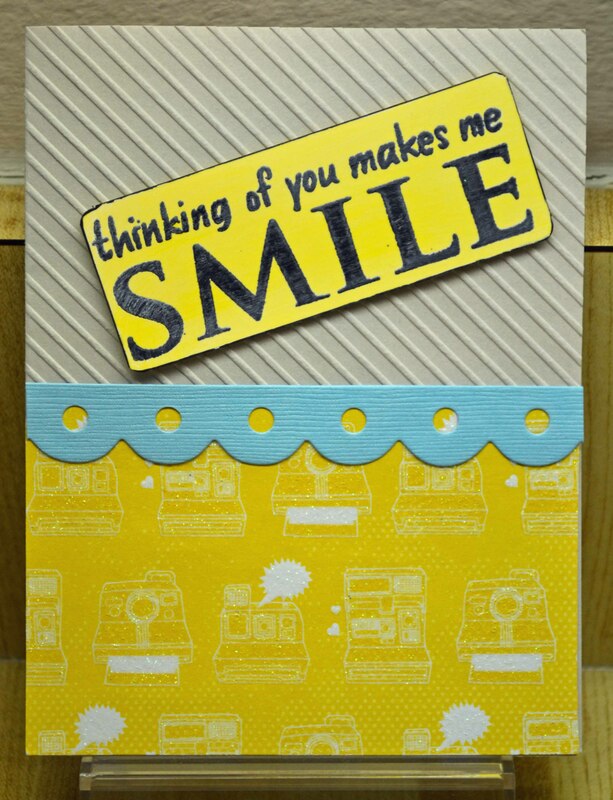 The top was embossed using a Lifestyle Crafts folder; the sentiment is by Hero Arts. 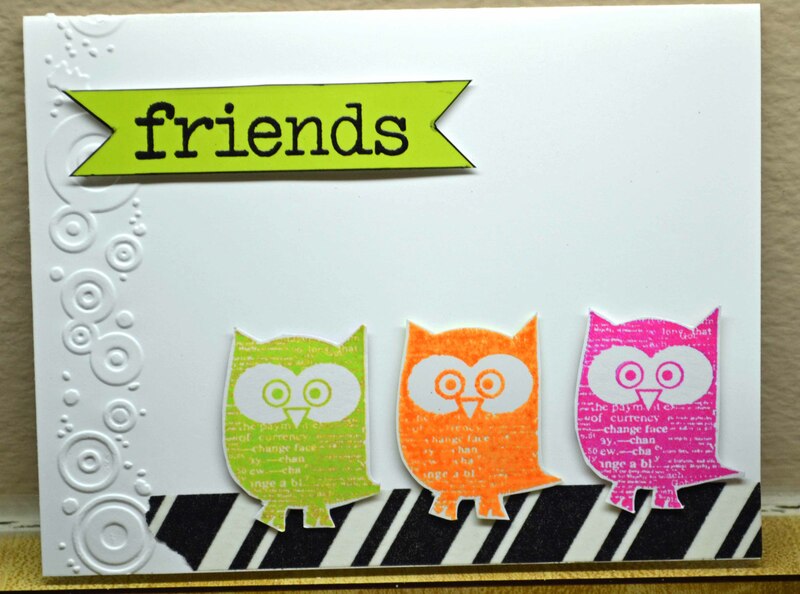 I stamped and embossed it on DCWV bright yellow Silky Smooth paper, but it was too bright. So I swiped on some Ranger Picket Fences Distress stain, then wiped it off the black-embossed sentiment. 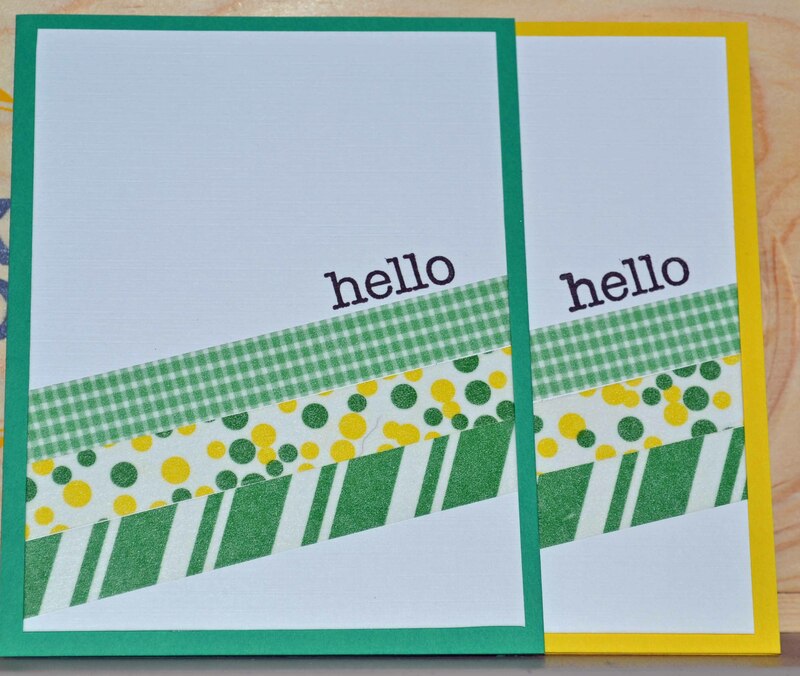 The easy border is Bazzill Basics’ Just the Edge selection. Just cut and glue! 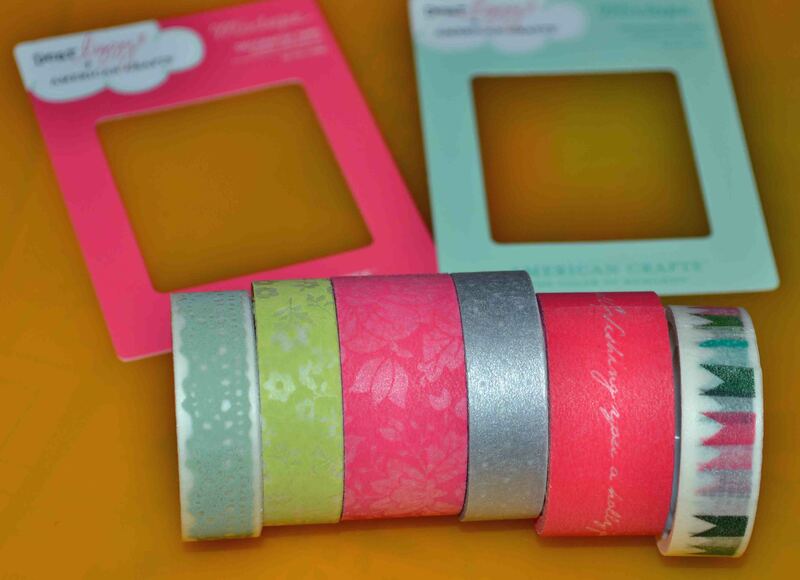 Washi washi everywhere… and I want it all! 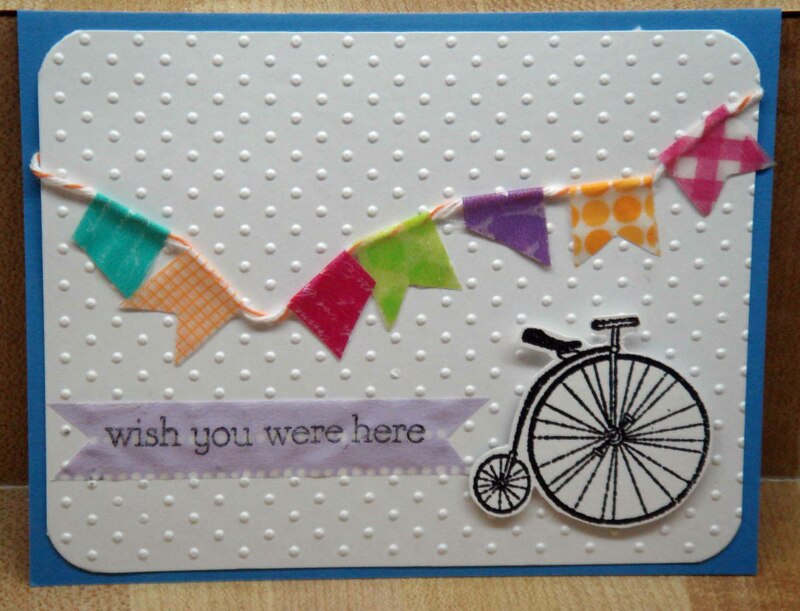 I love the ethereal, wispy texture and appearance of washi paper, that thin, stick-able, tear-able hip design element. Adorable, no? Check out her blog for her simple instructions. Yay — I used up all those little scraps!